This 4-part training program is offered by Jules Alvarado herself. At the intersection of the most recent research in neuroscience and ancient healing wisdom we find vital keys for transforming past trauma into the opportunity for healing. Jules is on a mission to reach as many people as she can offering an effective, simple method of making the transition from chaos to calm. A full day live with Jules Alvarado costs $1000's, now you can have the live, full lecture for only a fraction of that. Jules believes that serving as a conduit to healing is her reason for being here. Making the transformation to a Trauma Informed Care environment requires change of process, people and systems throughout your group. As a survivor Jules Alvarado speaks from experience about the childhood recovery process. As a licensed therapist, trained in integrative trauma healing, energy healing, and with a strong background in program development and management, Jules explores with you how a survivor’s journey is enhanced by organizational programs, procedures and legislative advocacy. The trauma informed agency initiates policies, procedures and practices that identify, incorporate and remain sensitive to trauma history, symptoms, strengths and ability of staff and clients to cope with overwhelming emotion. It is now an expectation, not an exception, that the trauma informed program recognizes and supports the experience of stress not only for the client, but also for those called to serve. 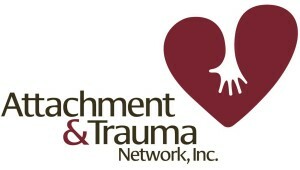 Helping educational, child welfare, mental health and juvenile justice organizations and individuals develop and provide Emotional Regulatory Healing as a Trauma Informed response is our goal. We simplify recent research in neuroscience and help you to create non-intrusive means for creating an environment of safety, healing and empowerment that ultimately assists the client and your staff in making sense of their experience and move toward healing. If you're interested in onsite, trauma informed care training for your organization, find out more about our most requested programs here. A video course with a certificate of successful completion, or an audio course available for immediate download. Or to purchase the audio only version, enter your name and email below and click on Buy Now. I own a small foster care agency in Colorado called Courage Community Foster Care. It’s important to me that the children in our care have the most supportive and loving experience possible. Part of my job description is ensuring that my foster parents have the education and framework they need in order to successfully parent our (sometimes very challenging) children. I have been following Juli Alvarado for over a decade now. She embodies everything that I believe about trauma and stress and how it expresses itself through behavior. Juli speaks from the heart, and is the most genuine lecturer/teacher/therapist I know. When Juli advertised her online training program, I bought it immediately and devoured the entire thing in two days. Even though cognitively, I already understand what she teaches, hearing her speak it with her level of passion made all of the information resonate more deeply. I was so impressed that I purchased programs for each of the foster families in my ‘tribe’. I don’t have the expertise or skill in speaking that Juli does, so gifting this to my foster families made it possible for me to ensure that they know everything I NEED them to know about trauma. Every minute spent watching Juli is a minute well spent. This knowledge translates into stability for our children and, like Juli says, “a soft place for them to land”. I want all of my foster parents to be able to speak the language of Juli Alvarado- kindness, self awareness, and an understanding about the intersection of mind, body and spirit. This book is available in a digital version only. Order now and download immediately as a PDF file. 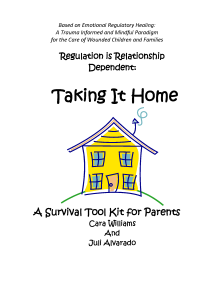 A survival toolkit for parents and professionals working with problematic behaviors. Lying, aggression, homework, defiance, stealing, bedtime struggles and more. 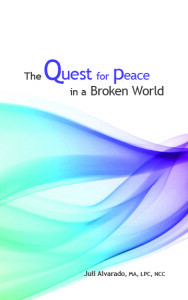 Based on ERH, this 33 page handbook provides the simplified integration of neuroscientific research in trauma, emotional healing and practical steps to respond to these troubling characteristics in our vulnerable children. A must have for all parents and providers. Our lives are full of trauma and turmoil. The loss of a loved one, end of a relationship, aging parents and just an ongoing sense of dissatisfaction with life keep us linked to anxiety, anger, regret and fear. A quiet mind, calm body and gentle spirit await you. In Juli Alvarado’s new book, she takes you on a 100 day journey back to peace patiently waiting just underneath the surface and a pathway to your natural state of supreme love. 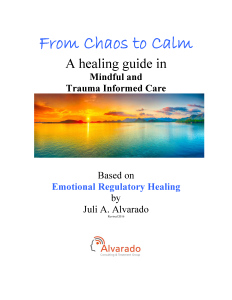 A mindful approach to trauma informed care through Emotional Regulatory Healing. 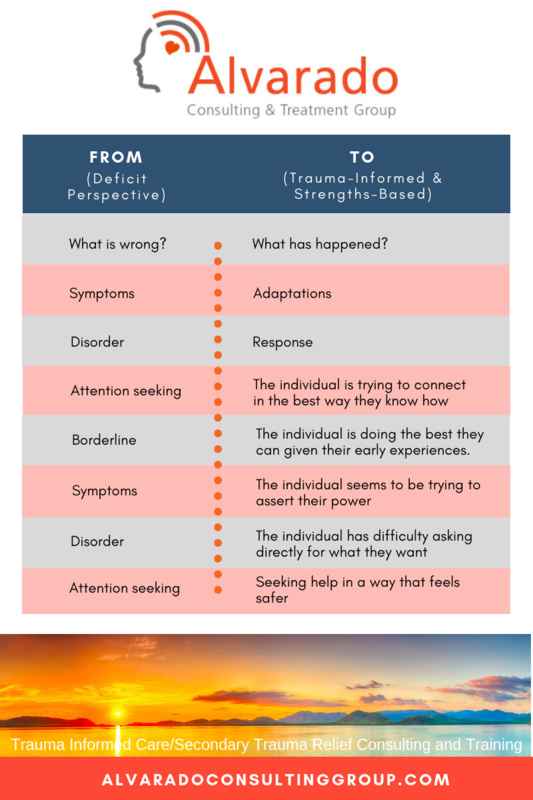 Complete with the power point slides from Juli’s full day training along with 20 years of research and practice, this 100+ page guide was created to enhance your ability to practice and teach trauma informed care. Built into the guide are exercises designed to enhance our learning through experiential process. A critical tool for parents and professionals. Click on the image above to download immediately as a PDF file. 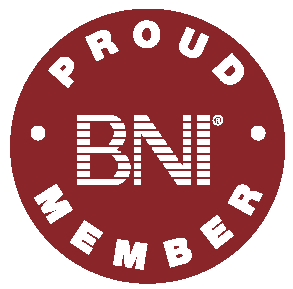 Training, Key Notes, Individualized Consults and Clinical Services. 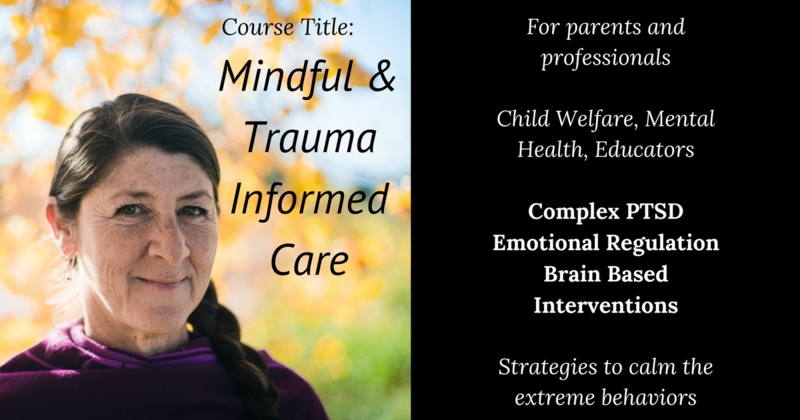 Mindful and Trauma Informed Care at the Vital Edge of Recovery. 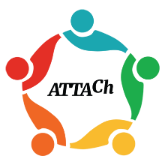 Professional Member of Attachment & Trauma Network, Inc.